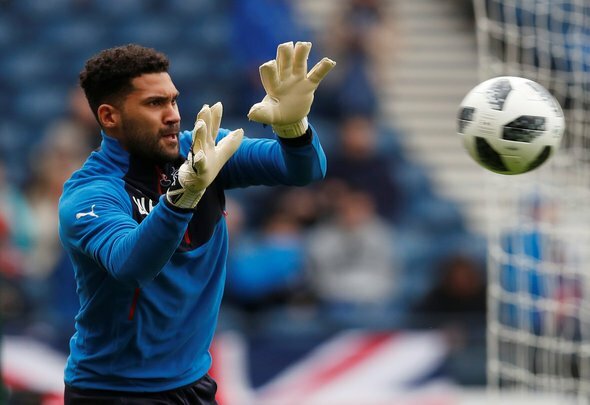 Wes Foderingham must look to quit Ibrox in the summer after it was confirmed that he Allan McGregor will starts ahead of him in goals for Rangers’ Scottish Cup clash against Kilmarnock on Saturday. The Light Blues revealed via their official Twitter account ahead of kick-off at Rugby Park today that Foderingham, 28, has had to make do with a spot on the bench, even though he has been Steven Gerrard’s go-to man in most cup games this season. Foderingham has only made five appearances in all competitions this term, with two of them being against Kilmarnock in both the Scottish Premiership and Scottish Cup. However, even though McGregor is set for a short spell on the sidelines due to a ban, Gerrard has avoided selecting the former Swindon shot-stopper, and that shows that he must quit Ibrox for the good of his own career. Foderingham has already been linked with a move down south. The Express reported in November that Leeds United were interested in the English shot-stopper and he could definitely make it as a number one for a club in the Championship. He is way too good to be sitting on the bench and he is surely not happy with the fact that he has been forced to sit on the sidelines for a cup game that he would usually be selected to play in. Gerrard and Mark Allen shouldn’t stand in Foderingham’s way if he does try to force his way out of the club. He enters the final year of his contract at the end of the season so leaving Ibrox in the summer is the best option for all parties.